For a high-quality and well-crafted fence surrounding your home, commercial business, or property, you need a qualified fencing contractor to complete the job. Many land owners have a misconception that installing a fence is a DIY job. The sad truth is if you want your fence to last, you absolutely must hire a fencing contractor to assess your property and install your fence. If you want to know if you are working with the best fencing contractor in TX, here are five ways to tell. 1. A good local reputation carries a lot of weight. As a quality background check, ask friends, neighbors, and co-workers what they know about the fencing contractor of your choosing. 2. When you inquire about their services, ask if they have experience working with your type of property. Experience doing the type of fence that you need is an important consideration. 3. They are willing to work with you and listen to your concerns. Everyone has specific needs that they would like fulfilled, and everyone wants to be heard when they speak. Your interactions should give you peace of mind and security. 4. Never work with a fencing contractor unless they have a good rating with the Better Business Bureau. Philip’s Fences has an A+ rating! 5. When they present you the contract, there should be no hidden fees. All work, timetables, material costs, and prices should be up front and easy to read. Do not sign a contract that leaves you wondering. A qualified fencing contractor will make you feel at ease during the contract signing. 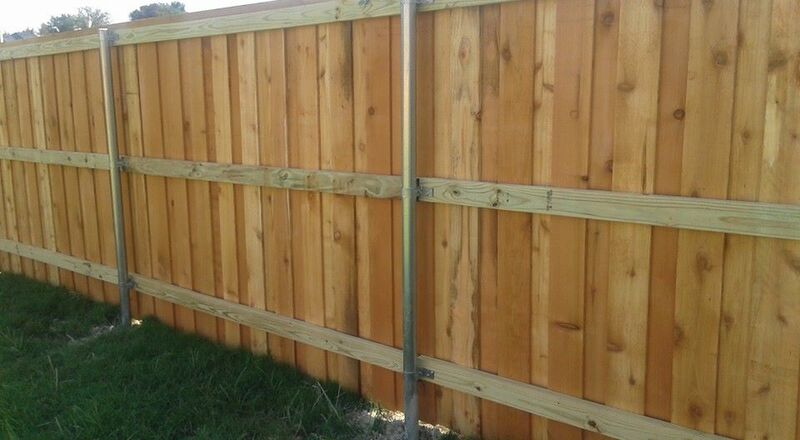 Our highly skilled team wants to help you with your new fence. Please don’t hesitate to contact us today for more information, including a fencing estimate. One of the many wonderful things about adding a deck to your home is that it doesn’t have to follow any particular shape, nor do impediments in your yard need to be obstacles that prevent you from having a deck built. Does your yard have a tree that you love or a boulder that would cost too much to remove but it’s right in the way of where your deck would be? That’s not a problem; in fact, it could create a unique focal point for your deck. Decks can be customized to encircle the feature – if it’s a tree, make sure you know what width it will grow to so the proper size allowance can be made. How do you plan to use your deck? If it will serve several purposes, you might consider a larger deck with mini levels for different activities. For example, you might have a patio set on one level and the barbecue or outdoor kitchen on a different one to keep smoke away from diners. Maybe you’d prefer your relaxation area to be away from the house itself, either nestled in the garden or under a big shade tree. You can achieve that goal with decking that creates a pathway from the house through the garden, welcoming family and friends right to that perfect spot. If your yard is uneven, you can have shorter deck pathways with steps in between; consider varying the widths of the pathways for even more interest. Decks don’t have to be limited to houses – consider cozying up your garden shed with a small deck. In fact, shed structures are being used in many different ways today, from small detached guest rooms to artists’ retreats. Have an idea for a deck or need some ideas to make your outdoor living dreams come true? Contact us to discuss your options and the many ways we can help beautify your home and your life. Fences, much like anything out in the elements day and night, require regular care and maintenance. Is 2016 the year that you finally move forward with your new fence project? Philip’s Fences is here for you whether you are planning on having a new board on board fence installed or would like to have that old fence removed and replaced. 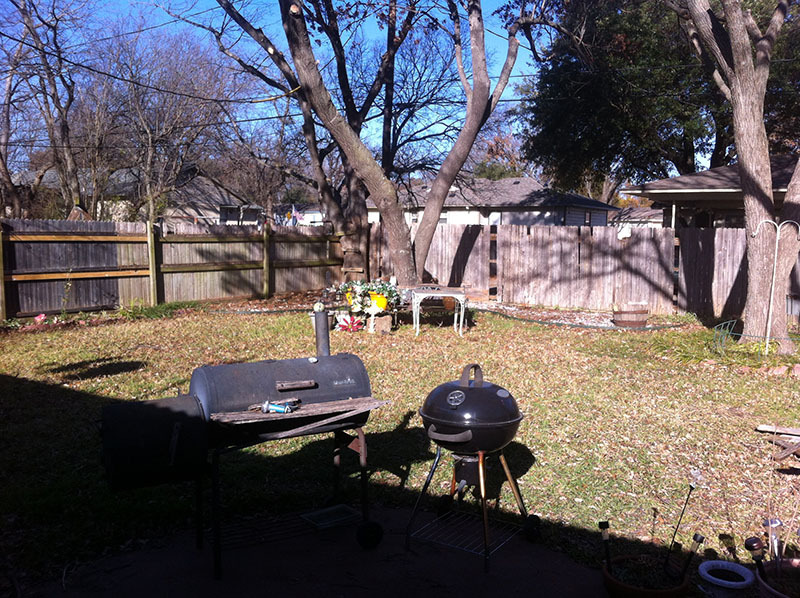 Despite the cold weather in Ellis County, now is the time to begin planning for your new fence. If you’d like more information about how we can help you, including an estimate from our highly-skilled team, please don’t hesitate to contact us today! Decks are a great way to improve the look and feel of your back yard (and they add value to your property). It’s a great feeling to show off your new deck to your neighbors and friends. They will be green with envy. Imagine this. You invite several friends over for a BBQ. Everyone comes out and marvels at the new deck. Sleek lines, natural wood and smart arrangements complement the ample seating areas for your guests. Everyone gathers around and enjoys the built-in seating, while watching you put the main course on the grill. Your guests decide that they want to enjoy the fresh air while they eat. There is even a wooden cover off to the side to protect everyone from the sun. Large or small, decks are a great place to spend the morning waking up with coffee or relaxing with a cool drink after a tough day at the office. They also get you off the ground, away from dirt or mud and those pesky ants! What a great place to spend time in nature. If you are in the Waxahachie area and looking for a local fence contractor to build your new deck, Philip’s Fencing offers free estimates and a highly skilled team of builders, ready to make your dreams come true. From custom decks to patio covers and pergolas, we can build you a private space in your back yard that will mean years of enjoyment. 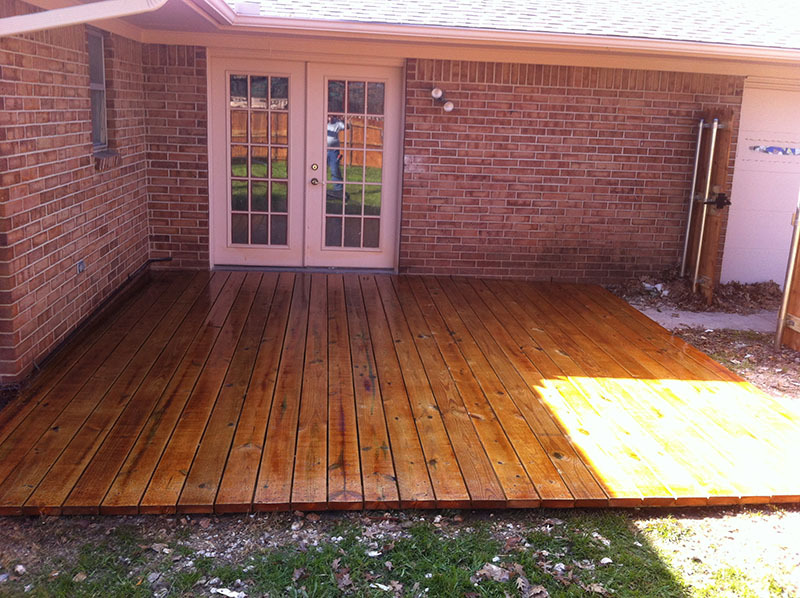 Contact us today for your free estimate and let us built your dream deck! Outdoor living spaces have become important parts of residential landscapes and are a feature that many new home buyers look for. Where there was once simply a patio and barbecue, you’re now more likely to find a full outdoor kitchen. Because additional space dedicated to open-air entertainment is highly desirable, outdoor structures now add both value and marketability to your home. 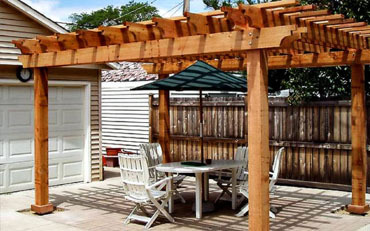 Pergolas are one of many excellent options you can choose to enhance your home. Not only are they beautiful additions that add aesthetic interest to your patio, deck or yard, they’re also functional in several ways. These archways can be crafted in a variety of styles and offer some distinct advantages and opportunities. Lighting. You can light up those warm evenings on your deck or patio – a pergola gives you the perfect spot to add lighting inconspicuously so you can enjoy your yard after dark. You can also add light strings for a festive or romantic effect. Shade. A roofed pergola over a sitting area can offer some shade on those hot summer days when you want to relax outdoors but need a break from the sun. You can even attach lightweight fans to add a welcome breeze or drape elegant or casual outdoor fabric for more shade and a sultry look. Accent plants. Hang flower baskets, trailing vine baskets, or even let ivy grow over your pergola, depending on the look you want. This brings more color, texture and life to your deck or patio. If you’re considering adding a pergola or any structure to your home’s outdoor living space, contact us to discuss the possibilities. We’ll be happy to work with you to design the perfect solution for your outdoor needs. When you want to get your property looking good, you might find yourself in need of a company to do your fence repair. It is important that you keep your fence looking as nice as possible, and if it is not in the best shape, then you should have it repaired immediately. Your fence should look beautiful, and when you get the right company working on the repairs, that is just how it will look. Find the right fence company and ask them to get started on your fence repair immediately. No longer will your fence be something that you feel ashamed of when you see it. Your whole property will look better when you have your fence repair done. Everyone will notice the changes that you have made, and you can feel great about yourself for asking a good company to come over to get things done. Once you have your fence repair done you will feel proud of your property. You will love how it looks, and you will feel proud to show it off for the first time in a long time. When you are ready to get your property looking better you should have your fence repair done. And there is no better company to do it for you than ours. Contact us and we will get your repairs done in a way that you can feel good about. 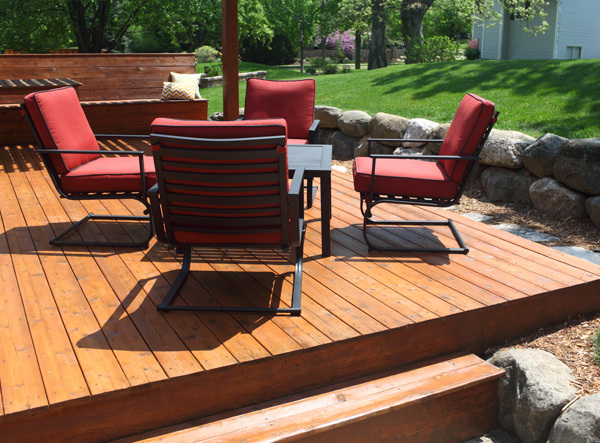 Adding a deck to your home can increase its value, marketability, and enhance your yard. In fact, it’s considered to be one of the most worthwhile investments you can make in your home, giving you an average return rate of approximately 80 percent. With facts like that, the only question left is what kind of deck you should get! Your deck should complement and coordinate with your home’s style and size so it looks like it belongs there; it should look neither tacked on nor overwhelming. We can help you determine the correct proportions of your deck as it relates to your home as well as its shape, so that it takes advantage of any views and works well with your yard. 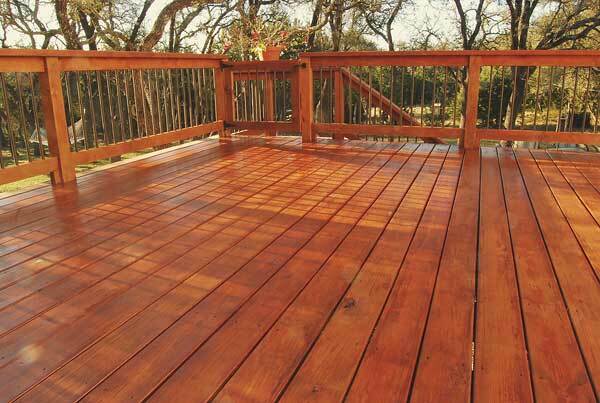 You’ll also want to choose an attractive stain for your deck that works well with your home’s exterior. Select the shades you like, buy a sample of each and apply them to an area that’s not obvious but where you can see them in full sun, shade, etc. Staining is an important step in helping to extend the life of your deck and protect the wood from weather and UV rays. Ready to start? Contact us for more information, and you’ll be enjoying your new deck in no time! 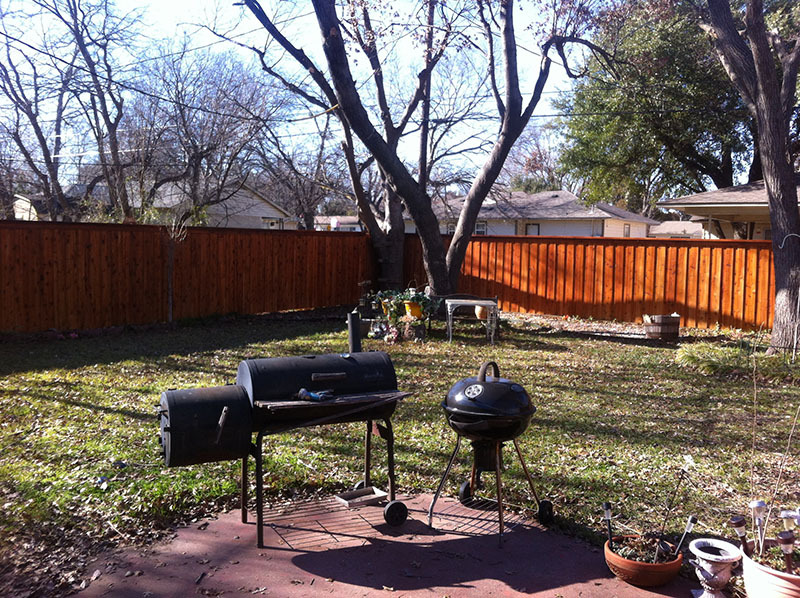 So you’re ready to enhance your property with the addition of a fence – good decision! The first step is to choose a fence contractor…but how do you go about finding the right one? It’s easier than you may think; here are some simple but important questions to ask when interviewing contractors. Meet with potential contractors, don’t just talk with them on the phone. Look at the testimonials and pictures on their website, and ask for a list of referrals you can talk to. Of course you’ll want to talk prices, but don’t make a decision based on price alone. It’s better to get good quality than poor workmanship or an inexpensive product that soon needs repairs. Always get a written estimate; any company that won’t put their estimate in writing should be avoided. Ask what could potentially raise the price, and ask referrals how close to the estimate the company came. Discuss the choice of materials to achieve the look and purpose you want, then make sure the choices you make are in the final contract. Ask about warranties on both the materials and the workmanship. Both the manufacturer and the contractor should stand behind their work. Last but not least, inquire as to whether any of your landscaping will be affected by the installation. Two big red flags to watch out for are: companies that try to pressure you into an immediate decision and companies that only accept cash payments. It’s fine if a company will give you a discount for cash, but not if that’s all they accept. Our skilled team will be happy to discuss your project with you in detail. Contact us at Philip’s Fences to find out how our unparalleled customer commitment and professional craftsmanship can create the fence of your dreams. When you are looking for a great way to separate your yard or your property from another, all while adding style and elegance, you should consider iron gates & fencing. And when deciding to surround your property with ironwork, you’re going to need professionals to help you. Undertaking such a large endeavor like adding a fence is time-consuming and requires a great deal of skill. To ensure that your new fence is installed correctly, evenly, and safely, you’ll want to enlist the help of professionals. In addition, going with professionals instead of DIY will help you get access the best products and ideas out there. 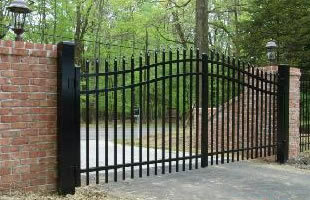 A major benefit of iron fencing and gates is the low required maintenance. Because products are often coated with a powder coated finish, it allows you to think less about taking care of your fence and more about enjoying it. There are several different styles of wrought iron fences to choose from. If you like clean lines, then you should consider a flat rail fence. Other options to consider are an iron picket fence, or a pressed spear option. No matter what you decide for your fence, the beauty of an iron fence is that you get separation without totally blocking off the space. Additionally, iron gates are a great way of adding safety and security to your space. If your neighborhood or general degree of worry make either of these an issue for you, you can feel comfort knowing your fencing will help to keep your space safe. Iron gates and fencing are not only functional, but will make your home look great. And if you are considering installing ironwork around your property, you should let the professionals help. Contact us for a free estimate today. Whether you bought your home with a fence already installed or added one later, you want to make sure it lasts for many years to come. Your fence is a barrier between your home, yard and the outside world. In some cases, the fence only encloses the backyard while other homes have fences that cover all or part of the front yard as well. If your fence is made of wood, it’s time to get it stained. Here are a few benefits of fence staining. 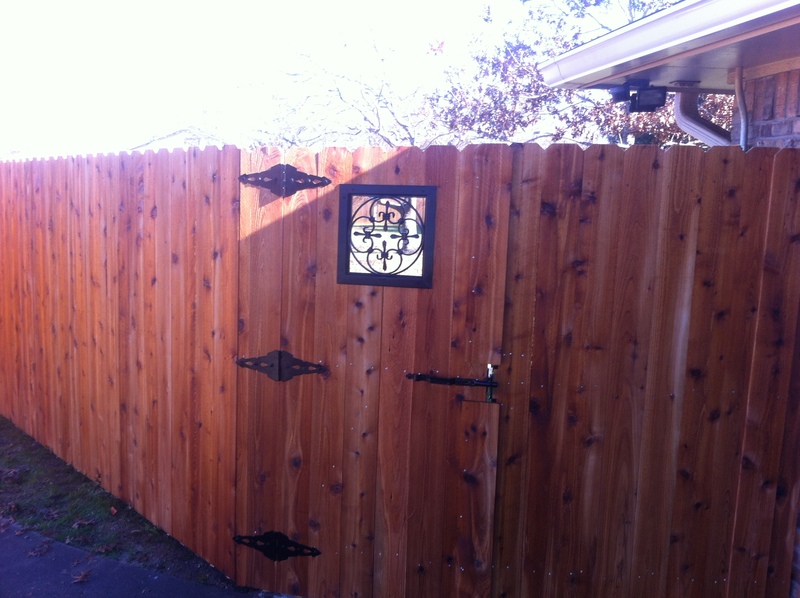 A wooden fence is prone to damage and deterioration from a variety of sources. Water is one of the biggest culprits as it damages wood and provides a way for mildew and mold to grow. It’s impossible to dry damp wood, but a stain keeps water from reaching the wood. If you live in a location with extreme weather, it’ll take its toll on your wood fence as well, making a waterproof stain essential. If you decide to sell your home, one of the first questions the real estate agent asks will concern upgrades to your home. 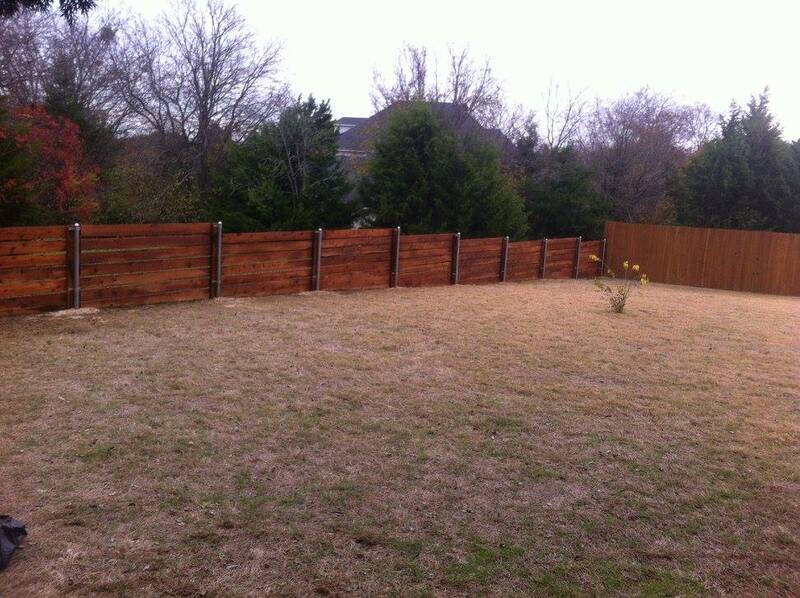 Staining your fence is one such upgrade. This tells buyers that you’ve made an investment in your home and property to keep it in peak condition. Stains help your fence last longer saving you money over the years. When you first install your fence, you can stare at it for hours. However, it doesn’t take long for the sun to bleach the wood, and it gets that worn look. A stain restores the beauty of weathered wood. If you like color, you can even select a colored stain for added beauty to your fence. 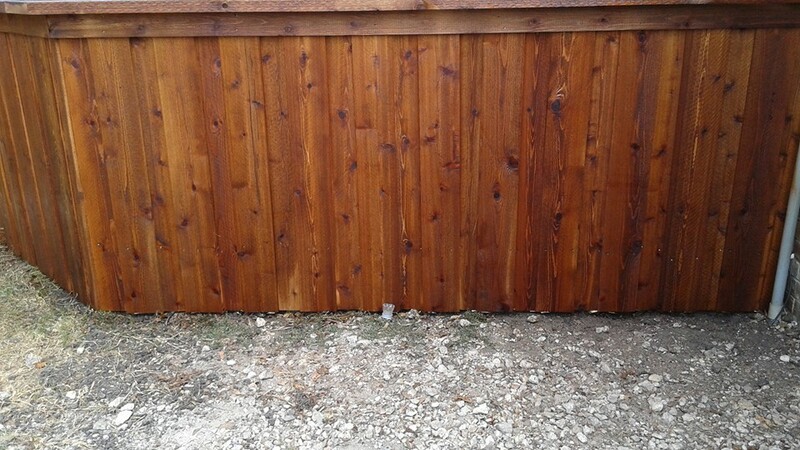 At Philip’s Fences, we can whip an old looking fence into shape with a beautiful stain and help you protect your investment. Contact us today to learn more.